Most companies that choose to replace their set of single-point tools with an integrated ALM solution do so because they are facing certain well-defined problems. Common issues are the lack of process transparency, burdensome methods to ensure traceability, and difficult collaboration between teams and team members. 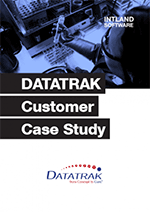 Like many other companies, DATATRAK found a way to cope – while their processes were successful, they weren't really efficient. They were able to address most of their medical technology development problems by simply implementing codeBeamer, and realized added benefits in the process. As a consequence, the case study you can download below, as well as the following excerpt from it should be a valuable resource for most companies. If, when browsing through the case study, you find yourself wondering how long you've had similar problems, and why you haven't considered transitioning to an integrated ALM platform, feel free to reach out to us to find out how codeBeamer could help your specific needs! 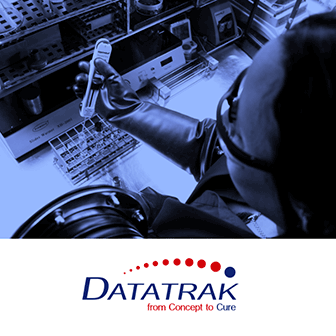 DATATRAK International, Inc, a company founded in 1995 in Ohio, US, offers IT solutions and services to facilitate clinical trials. They have been successfully using codeBeamer since 2011 to manage their internal software development processes. Prior to switching to codeBeamer ALM, the company was relying on a basic ticketing system to stay on top of their processes. This has resulted in effort-intensive traceability, and a need to increase process visibility. Medtronic Case Study: How Does the World's Largest Medical Technology Company Use codeBeamer ALM? Thus, DATATRAK realized the need for a solution that would give them this greater visibility, traceability, and efficiency. The company recognized that they would benefit from using an integrated, end-to-end ALM solution that relies on a single central repository. They needed to be able to establish links between all artifacts throughout the lifecycle, since conveniently showing gapless end-to-end traceability would greatly facilitate compliance audits for DATATRAK. After the thorough evaluation of a number of tools, they chose to implement codeBeamer. Right after rolling out codeBeamer, DATATRAK saw widespread benefits in their internal processes. In addition to automatically ensuring complete traceability, the ALM solution has helped them set up their own approval workflows, support document management, and manage testing. “The staff was able to be immediately effective. Value was almost immediately realized with better visibility into the process, clear approvals of everything in the process, and simple, straightforward change control management and validation." With codeBeamer, DATATRAK was able to configure all workflows to support internal needs and development processes, ensure change control on all artifacts, and manage the various stages of their development lifecycle (requirements, development, testing, approvals). What's more, they realized over time that codeBeamer's flexibility allowed other teams and departments to put the ALM solution to good use (Operations, QA, System Owners). For a detailed overview of the difficulties DATATRAK were coping with using their previous tool ecosystem, why they chose to roll out codeBeamer, and the benefits they saw after implementing our integrated ALM solution, download the case study below. Have any further questions? Just contact us, we'll be glad to help. Would you rather give it a try? Start your free trial today!